A family forced to leave their home after a landslide feel "in limbo" after failing to overturn a tribunal ruling that their house is unsafe. Amanda Hopkins and her four children moved out of the house in Ystalyfera in the Swansea Valley following an evacuation order in August 2017. 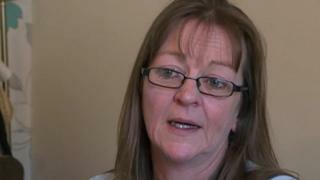 She and four other householders who challenged the decision are still living in temporary accommodation. Neath Port Talbot council said it is continuing to support residents. Miss Hopkins bought the five-bedroom house for £84,500 about 18 months before the landslip. Speaking after the decision by the Residential Property Tribunal last week, she said: "We were disappointed but we expected it. "What we don't yet know is what will happen to our homes. "We have been in emergency temporary accommodation for the last nine months which the council is paying for. "We are just in limbo, every day is Groundhog Day and I'm still paying the mortgage on the Cyfyng Road home." Miss Hopkins' case for appeal included the fact her insurance company was refusing to pay compensation on the basis there was no damage to her house and the existence of the Emergency Prohibition Order did not mean the house was uninhabitable. But the tribunal gave no weight to the insurers' findings. In total, residents in 10 homes were told to leave the row of houses after three landslips in February, March and April 2017, during which several hundred tonnes of earth moved. Most of those served with the emergency orders in August have been relocated. But a couple of residents still remain living in the affected homes. Paul Harris, who rents one of the houses, said he wanted to stay because he believes the decision by the tribunal was wrong and is appealing. "I'm 100% confident the house is safe - why wouldn't it be? - it's been here for over 100 years," he said. "We know it's made-up ground that's gone and it's not a geographical movement of the mountain." Residents who appealed the council's evacuation order said their properties were on firm ground and a threat of further landslips could be easily solved. However, the tribunal ruled there was "no evidence at all" that the only earth which moved in the landslides was made ground. Neath Port Talbot council said geological experts from the Earth Science Partnership insisted there was "an immediate risk to life". 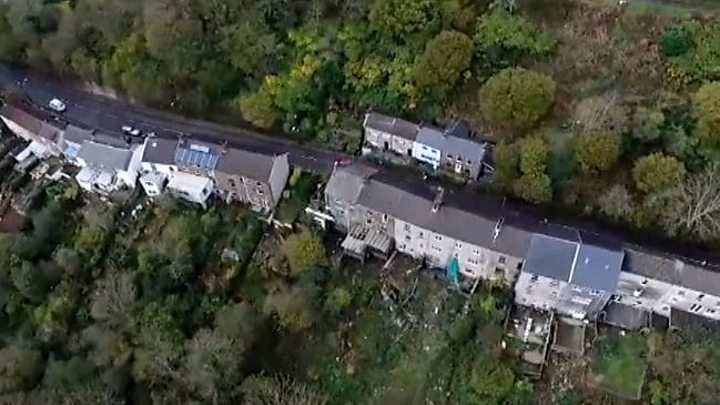 A spokesman said: "The council is now entering into dialogue with owners of the affected homes in Cyfyng Road and will continue to give what support it can to those affected by the landslides issue." The local authority also said the time taken for the tribunal to deal with the appeals was "entirely" out of its control.